In all realms of life it takes courage to stretch your limits, express your power, and fulfill your potential… It´s no different in the financial realm. If you´re not powerful with your money, you are not powerful. Many of the good things would never have happened if the bad events hadn’t happened first. Many people are in the dark when it comes to money, and I’m going to turn on the lights. Financial freedom requires not just insights but also actions, and to carry out these actions you must learn about money and how it needs to be treated. True financial freedom is not only having money, but having power over that money as well. Be careful not to let the money you spend become a badge of your success. I know this subject (money) is serious stuff. Your future is riding on it. But taking control of your financial life doesn´t need to be a solitary and scary process. Fear comes from not knowing what to do or how to do it. And when we are fearful, we do nothing…You really do have what it takes to move past broke; you just need to start moving forward. You have to see every potential roadblock as an opportunity and a benefit. Remember to remember your power- everything you’ve learned with these steps to financial freedom – and put it all into practice everyday, because in the grand scheme of life, you’ll never really know how things are meant to turn out until they turn out. If you show money the respect it deserves today, and carry it through in all your actions, then one day, when you can no longer take care of it, your money will take care of you. Respecting your relationship with money, you see, is the key not only to your security and independence, but to your happiness as well. Owning a home is a keystone of wealth…both financial affluence and emotional security. In all realms of life it takes courage to stretch your limits, express your power, and fulfill your potential.. it’s no different in the financial realm. Each cent you apply toward diminishing your debt replenishes you. You have to have a will. Writing is hard work, not magic. It begins with deciding why you are writing and whom you are writing for. What is your intent? What do you want the reader to get out of it? What do you want to get out of it. It’s also about making a serious time commitment and getting the project done. They got married, they got divorced and half their money goes out the window. In my opinion, no credit card should carry an annual fee. If the card you are considering has one, take your business elsewhere. If it is your intention to be the master of your financial destiny, you must begin paying more attention to your money. Not all financial advertisements or advisors have your best interests at heart, so you must learn the difference between the myths that you are being told and sold, and the reality of how money works. It is never too soon to begin, it´s true, but it´s also true that it´s never too late to start. In time that $22,000 [inheritance] will inevitably go down to $20,000, then $15,000, and before you know it, it will be gone. Most likely the balance on Karen´s secret credit card will be higher as well. What happened to Karen happens to most of us. We´re afraid to really look at our finances head-on, to see where everything really goes. We all work so hard for our money, yet don´t let it work for us because we simply will not deal with it, will not check the amount we spend against the amount we bring in. And not dealing with money is just a different way of dealing with it — badly. I would advise you stay away from these cards, since you will likely only be covered for the amount of money you have in your account anyway, and you could simply pay with cash and avoid the fee charged for the use of the card. Better to look into a secured credit card. Just because one of you earns the paycheck doesn’t mean that person should lord over how the money is handled. We never had it as rough as the kids have it today… Look at the price of a gallon of gas or a piece of real estate or a college education. Believing you are worthy of love means that you believe I deserve to be treated well – with respect and dignity. I deserve to be cherished and adored by someone. I am worthy of an intimate and fulfilling relationship. I won’t settle for less than I deserve. I will do whatever it takes to create that for myself. If you have debt I´m willing to bet that general clutter is a problem for you too. Opposites may attract, but I wouldn’t put my money on a relationship of financial opposites. Using a debit card tied to your bank or credit union checking account is the next best thing to paying with cash and it’s undeniably convenient. If shame, fear, or anger is at the wheel, then I can promise you, you are not on a course toward richness. By having the courage to face and overcome your inner obstacles, however, you will change the outer trappings of your financial life forever. When you undervalue who you are, the world will undervalue what you do and vice versa. …I recommend them even for people who are not in credit card trouble, since they are so safe. Of course, they are especially useful if you are trying to reestablish good credit after a period of delinquency. Read the fine print of any offer; with that bit of elbow grease, you can the secured-card strategy work to your advantage. It’s just a short-term solution to get you to your real goal; a regular credit card with a low interest rate. Abundance is about being rich with or without money. If you have sworn off credit cards and stuck with a debit card that automatically deducts your payments from your bank account, I want you to rethink your strategy and consider moving to a secured card so you can eventually get a regular credit card. Some people prosper when times are challenging, and some people never do, even in good times. Some people endure serious personal financial storms and come out stronger than ever before; others get swept away. The difference is this: Those who do well in both good times and bad times manage their money from a position of power rather than acting out of hope, anger, regret, or fear. I don´t think prepaid cards are a viable option. I have found that when negative emotions control the purse strings, money will not flow purely and evenly. When it comes to money, emotions can speak louder than reason or necessity. Your emotions, expressed through your financial actions, have gotten you to where you are now and will continue to shape your financial future if you let them. They make no money off of commission, so they have no incentive to suggest that you buy something that really doesn’t make sense for you. Most of us believe, or deceive ourselves into believing, that we need about $1,000 to $1,500 a month less than we actually do need to go on living the exact same way we live right now. Surprisingly, this figure seems to vary only a little bit regardless of income levels. If a client writes down that she needs, after taxes, $3,000 a month to live, invariably the truer figure is $4,000. If the client thinks he spends $10,000 a month, the actual figure is closer to $11,500. Where does this month-to-month self-deception lead us? Into financial chaos. When it comes to money, if you have it, you may feel that you don’t deserve it- guilt. If you don’t have it, you may feel that you should have it- guilt. A lot of people get confused about what to do first when it comes to saving money: pay off debt, save for their retirement, or just put money away for an emergency fund. Listen, if you are paying 18 percent interest on your credit card debt, it makes absolutely no sense to start a savings account where you will be lucky to earn 2 percent interest. And that 2 percent is taxable, which reduces your real return even more. The truth is women in the workplace don´t have to fight nearly as hard for opportunities, or to dispel stereotypes, as they did before. I was just like most people who finally had money. Rather than act responsibly with my newfound cash flow, I felt I was entitled to make up for lost time by eating out every night, hitting the clubs, taking nice vacations, and filling my life with whatever gadgets I wanted. I thought picking up the tab was a great way to impress people; so what that I couldn´t really afford to do it? In the end, I had to learn the hard way that success is not solely about making more money. It is about knowing where the money you make is going. At the end of your life, you cannot take a penny with you. So what is the object of money if you can’t take it with you? If the boss is a jerk, get over it. First of all, don´t you think there´s a good chance that your boss´s boss knows what´s going on? If so, just keep your head down and do the work. Usually, if you put in maximum effort and produce excellent results, someone in the company is going to take notice. Either you will get promoted or your jerky boss will get the heave-ho. It happens all the time. After you marry, every asset either of you acquires is jointly held. That’s why you both need to be in sync on your long-term financial goals, from paying off the mortgage to putting away for retirement. Ideally, you should talk about all this before you wed. If you don’t, you can end up deeply frustrated and financially spent. The power of positive thinking is not a new idea, but when it comes to money it is, because we´re still so afraid. We´re a culture of slogans — in ads, on bumper stickers, on T-shirts, needle-pointed onto pillows. Call it what you like — a financial mantra, a new truth, a new belief in yourself — but you must create a positive, empowering message for yourself and instill it into your powerful mind to replace the fear you´re leaving behind, beginning now. It is important to understand that purchases you make with a debit card are not reported to the credit bureaus; they do absolutely nothing to help build a profile. Please do not rely solely on a debit card. You must have your own bona fide card. Most of us think of our money as existing in a pool: Here is the pool of what I have to spend this month. And, no matter what, the pool gets drained every month, replenished, then drained again. But think about this. So many of our expenses are finite- we pay for a one-time item, or some expense goes away. Then what happens? The money we have been paying for an expense that is now behind us simply goes back into the pool and gets drained away, one way or another, with the rest of our money today, when it could instead be redirected into money for tomorrow. If you can’t qualify for a credit card, I want you to start with what is known as a secured card. A secured card is a stepping-stone to getting a regular credit card. Many financial advisers will offer you free advice, but because they count on getting paid when you actually buy the invest they suggest. Their mortgage payment, their car payment, their student loan payment, and their vacation funds are all dependent upon what their clients – that’s you—buy and sell from them. That creates a conflict of interest. Do you really think that commission-based financial advisers never have it in the back of their mind exactly how much money they will make if you follow their suggestions? Money is a topic that touches all races, all religions, all sexes, all ages, all tax brackets. It’s a universal language that truly has been held up to us in society as a thing that determines whether we are successful, worthy, whether we have contributed something to life or not. In addition to a secured card, I also want you to apply for one retail credit card, such as a department store card. Each month, you are to buy one item that you need and pay the bill immediately. Within a year or so of using your secured card responsibly, you will in fact have a ‘record’ at the credit bureaus that should make it possible for you to qualify for a regular credit card. Again, please remember the reason you are doing this is to establish a good record so you can have a good FICO score. So the key is to make sure you pay your balance on the secured card in full each month and that you are never late with a payment. There are two types of debit cards: There is the debit card that is tied to your bank or credit union checking account, or there is the increasingly popular option of a prepaid debit card that you can load money onto and then pay bills or make purchases up to that amount. Credit unions are nonprofits and that makes them a whole lot nicer to do business with because they aren’t motivated to squeeze every dollar out of you with penalties and exorbitant fees. They are also less likely to shut down your credit card for no reason, and the fees they do charge are typically lower than bank-issued credit cards. Best of all, especially for those of you who are still not out of credit card debt, the maximum interest rate on all federally chartered credit union credit cards is capped by law at 18%, whereas some bank cards are charging 28% or more these days. 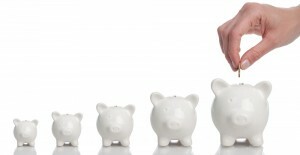 Credit unions are also a smart place for your checking and savings accounts. You can often qualify for absolutely free checking at many credit unions, and the interest rates paid on your bank deposits are typically better than at many banks that are in the business of making money for themselves, not you.